For the last two decades, many pundits and self-appointed experts have predicted the imminent demise of printed books. Travel guidebooks were voted most likely to disappear. While there’s no doubt that the travel genre has been impacted by digital books, the internet, and smartphone apps, the travel book market, and travel guidebooks in particular, continue to be popular with savvy travelers. Veteran travelers and professional travel writers continue to value and use print travel guidebooks. As an erstwhile author of travel literature, I have a longstanding bias towards print guidebooks. Of course I’m not a complete Luddite; I travel with phone and iPad full of travel apps, and I always consult Google maps when I’m on the road. But when it comes to well-curated travel information, I turn to tried and true books written by professional travelers, not travel blogging dilettantes on their first passport. I am also a life-long devotee of train travel. 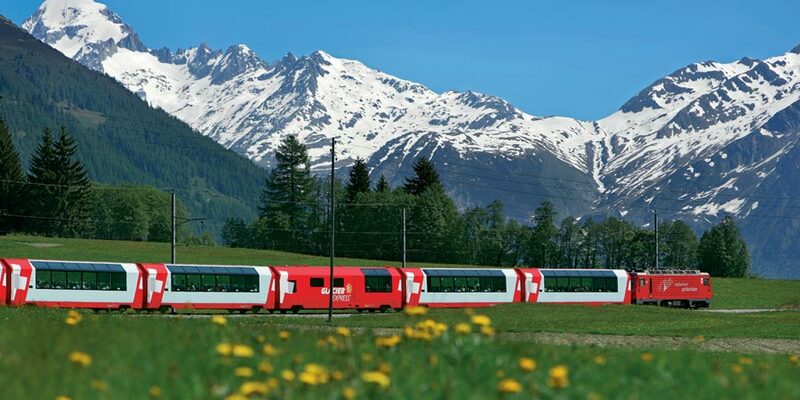 For me, rail travel will always be the most agreeable, convenient, and pleasurable way to go. And the best, most comprehensive and informative source on European train travel is Europe By Rail: The Definitive Guide. For more than 20 years, this has been the go-to guidebook for smart travelers. For many years, it was published by the venerable, if a bit stodgy, Thomas Cook Publishing, but since 2013 it has been put out by Berlin-based hidden europe publications. The recent editions have all been penned by the Nicky Gardner and Susanne Kries. The new 15th edition of Europe By Rail builds on the strengths of the previous publications and brings many welcome changes too. The new edition has added and improved route maps, additional coverage for Eastern Europe, the Baltic region, and the Balkans, updated timetables, detailed information on 50 key rail routes, sections dedicated to rail passes, and edifying guidance for train travel and tourism for 48 countries. 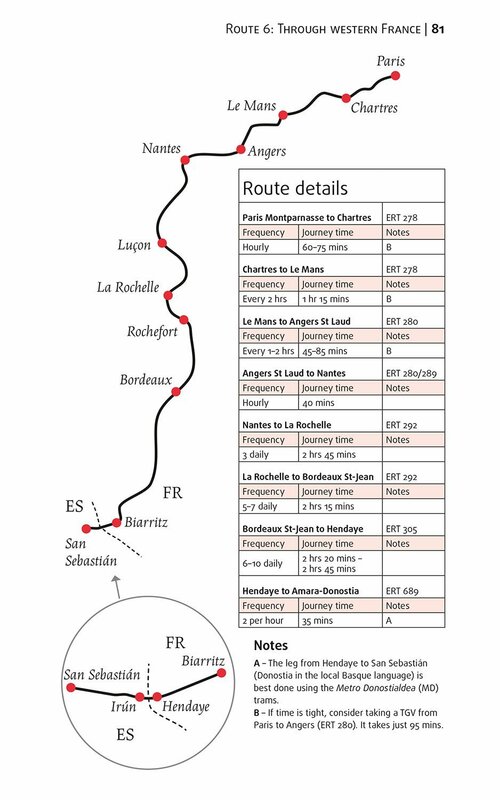 Over the years, it has been my good fortune to travel many of the routes covered in Europe By Rail. I will always remember my first views of Venice as the Semmerling train rolled across the Venetian lagoon after an all- night trip from Vienna. 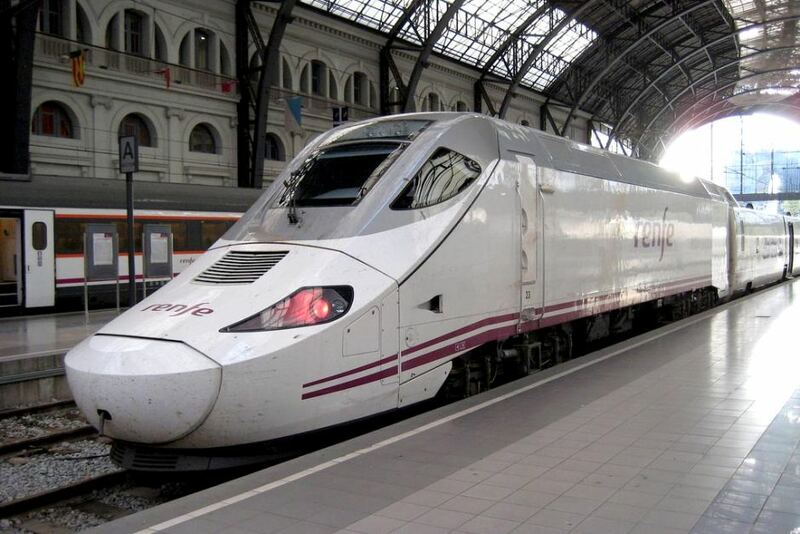 Or more recently, the lightning fast trip on Spain’s speedy AVE train from Barcelona to Madrid in only two and a half hours. 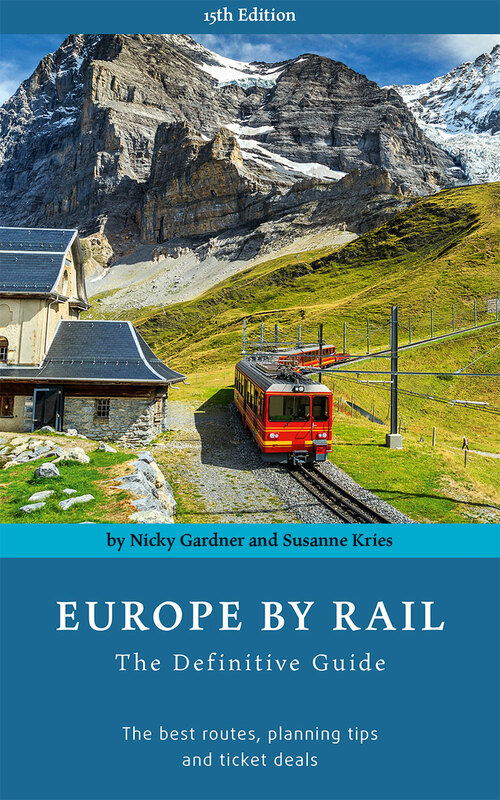 Gardner and Kries have packed this new edition with invaluable information on European train travel. But they have also managed to capture the joy, excitement, and even romance of train travel in what could have been an otherwise dry reference guide. It’s rare to find both comprehensive painstakingly researched travel information alongside well-written, entertaining guidance for both the novice and experienced European traveler. If you are thinking about a European trip, or just an armchair traveler with a bucket list, do yourself a favor and get a copy of Europe By Rail: The Definitive Guide before you make any commitments and be sure to check the companion website www.EuropebyRail.eu for updates. This entry was posted in Europe, Maps, Public Transport, Tourism, Travel Writing and tagged Eurailpass, Europe by Rail, rail passes, Train Travel. Bookmark the permalink.